As our Finance Director, Paul works across all areas of the business with a strong focus on the business strategy and financial management. Paul has a passion for education and business. Having left school aged 15 with no formal qualifications he started his first business at the age of 17 and has owned and run various businesses ever since. He returned to education in the late 1990s to study Information System Design followed by a PGCE. 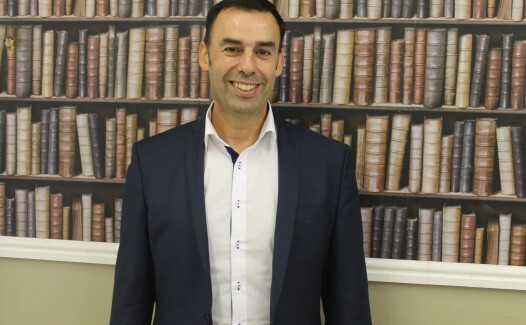 More recently, Paul was CEO of the Reynolds Fitness Group, specialising in Gyms & Spas, with the responsibility for leading the overall direction of the organisation. Prior to this, he was Finance Director of Skills for Growth an East London charity providing education based opportunities to the young people of East and South East London. Throughout his career Paul has owned and run businesses across a broad range of sectors more recently in retail and business consultancy. His company Skillswork, provided a consultancy offer to the skills sector through a range of functions including Finance, Learner Engagement, Business Development, Curriculum Development and Contract Management. Paul has also worked in the Further education sector where he was Director of Skills at Furness College. Throughout his career Paul has developed an exhaustive list of skills, some of which would include Management, Business Strategy, Education, Team Leadership, Financial Management, Project Management, Entrepreneurship, Business Development, Coaching, CRM Organisational Development and Relationship Management.